Dr. Justine Lee's specialty is pet poison prevention, and in this blog she discusses how dangerous the seemingly innocuous, delicate Easter lily can be for cats. For more from Dr. Lee, find her on Facebook! 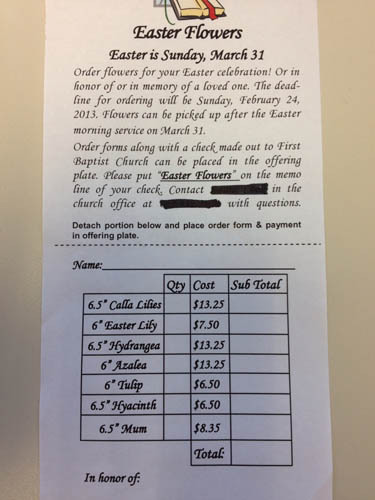 Before bringing home an Easter lily plant from church, make sure you have a cat-free household. Read that as: you can’t bring them home if you own a cat! There are benign and dangerous lilies out there, and it’s important to know the difference. Of these dangerous lilies, keep in mind that all parts of the plant are highly toxic to cats! Even small ingestions (such as 2-3 petals or leaves) – even the pollen or water from the vase – can result in severe, acute kidney failure. If your cat is seen consuming any part of a lily, bring your cat (and the plant) immediately to a veterinarian for medical care. When in doubt, call your veterinarian or an animal poison control center for life-saving information. The sooner you bring in your cat, the better and more efficiently the lily poisoning can be treated. Treatment includes decontamination (like inducing vomiting and giving binders like activated charcoal), aggressive intravenous fluid therapy, anti-vomiting medication, kidney function monitoring tests, blood pressure monitoring, urine output monitoring, and supportive care can greatly improve the prognosis. Typically, intravenous fluids must be started within an 18 hour window for the best outcome – in other words, the sooner you bring your cat into the veterinarian before clinical signs develop, the better the prognosis! Treatment typically requires 3 days of hospitalization.